Leicester, UK: Ulverscroft, 1989. Book. Near Fine. Hardcover. Reprint.. 8vo - 8.75 in tall . Previous owner's stamp on endpaper. Pictorial color design on glossy boards. Text clean. With regional maps of Canada. Oversized print. A Briton gives a personal, subjective travelogue of Canada, starting with Newfoundland and heading west. .
By Dupuch, S. P., Ed. Nassau: Etienne Dupuch Jr. Publications, 1985. Book. Very Good +. Trade Paperback. Silver Jubilee Editon.. 472 pp., several maps, index. Many b&w photos, a few in color. Almost new, light rubbing along spine corner, lower corner has diagonal crease, Slight spine creasing. No markings. An all-purpose guidebook to the Bahamas, including not only tourist information, but also government information, list of legislators, historical lore, businesses, geography (including inset maps of the tinier islands) and commercial advertising. Size: 8vo -- 8.5 In Tall. NY: Vintage, 1994. Book. Very Good. Trade Paperback. 3rd Printing.. Lightly read; diangonal creasing on corner of rear cover. No markings. Spine uncreased. 305 pp., 32 pp. b&w historical photos. 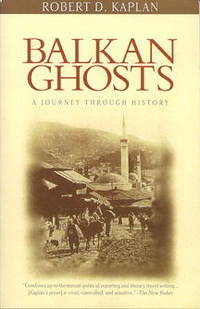 Travel and political reportage by a foreign correspondent who predicted early on the civil war in the Balkans. Size: 8vo -- 8 in Tall. NY: Vintage (Random House), 1997. Book. Good +. Trade Paperback. 1st Paperback Edition.. 321 pp. Curled corners, spine slant. Text clean. No markings. Satisfactory as reading copy. 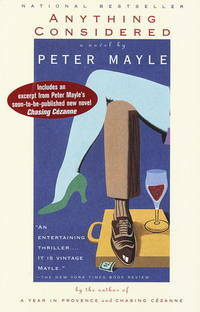 A humorous culinary detective tale about an English expatriate hired to impersonate weathly Julian Poe in Monte Carlo. Includes excerpt from a future Mayle novel, "Chasing Cezanne." Size: 8vo -- 8 in. London: Time Warner, 2002. Book. Very Good. Trade Paperback. 233 pp. Lightly used, corners a bit thumbed. Spine uncreased. Text clean. Mayle takes the reader on a humorous gourmet's journey through France's fairs and festivals. Size: 8v0 --7.75 in Tall. Marietta, Georgia: Longstreet Press, 1994. Book. Near Fine. Trade Paperback. 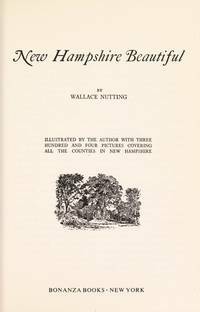 First Edition Stated.. 99 pp. Close to new, text clean. Guide to Atlanta area houses and other landmarks that inspired Margaret Mitchell as she wrote "Gone with the Wind, plus brief Civil War historical material. Bibliography, index, recommendations for hotels, gioft shops and restaurants. 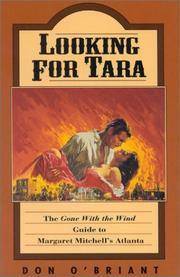 Cover shows the iconic poster of Clark Gable carrying Vivian Leigh in his arms. Author is a feature writer for the Atlanta Journal and Constitution. Size: 8vo --8.5 In. Emeryville, California: Avalon Travel, 2002. Book. Near Fine. Trade Paperback. 2nd Edition.. 419 pp. Close to new, no markings or creases. 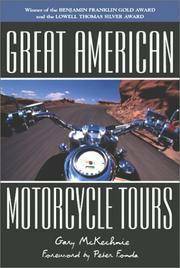 A selection of 20 motorcycle tours within the U.S., most of them within just one or two states. Includes motel, restaurant and attraction information, lists of resources for more details for each region. Examples of tours include Memphis to New Orleans; Miami to Key West; Berkshires; Black Hills; Blue Ridge; Cape Cod, Hudson Valley; Civil War battlefields; Taos to San Fe; Calistoga to Carmel. Size: 8vo -- 9 in Tall. NY: Borzoi Book (Alfred A. Knop), 2006. Book. Illus. by Mayle, Jennifer, et al. Near Fine. Cloth & Boards. First Edition Stated.. 186 pp. Faint red line on top edge near spine. No other markings, close to new. 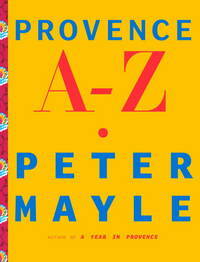 More than 170 richly detailed, alpabetical entries describing daily life in Provence and the author's culinary adventures in the province over two decades. 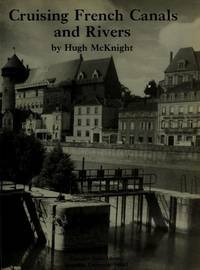 An entertaining supplement to any travel guide for France. Size: 8vo -- 8.25 in..
London: Mermaid Books, 1994. Book. Illus. by Jenner, Michael, Photographer. Near Fine. Trade Papeback. Later Printing.. 256 pp. on coated paper. Color and b&w photos comprise about half the book. Text and photos by Jenner. Close to new, no markings. Spine uncreased. Layman's overview of churches, castles, mansions and ruins dating back to roughly 1066 thru 1535. Arranged by region and province. Part of the Mermaid series of travel guides. Size: 8vo-- 9.5 In By 8.25 in Wide. NY: Spellmount Publishers Ltd/Hipppocrene, 1988. Book. Near Fine. Cloth. 1st US Edtion.. 191 pp on coated stock. Numerous b&w photos and drawings. Appendix correlating London place names with mentions in Gilbert & Sullivan lyrics. Text clean, nearly new. Small speck on dj front panel. A guide to Victorian London's landmarks and their relevance to Gilbert & Sullivan's music and lyrics. First American printing, 1988. Foreword by Sir. Charles Mackerras, who calls the book "a cornucopia of biography, social history, musical and literary comment." Size: 4to -- 10 in Tall. London: Blackie & Son Book. Illus. by Haslehurst, E.W.. Very Good. Cloth. 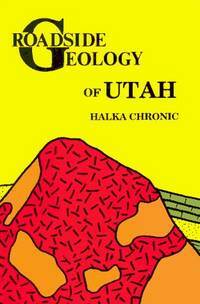 Reprint.. 56 pp., with 12 full-page plates in glossy color. Two small darkish spot on lower spine, else clean. No markings in text. Gift inscription, dated Christmas 1937, on front endpaper. Most of dust jacket still present, but large 4-inch tear along spine and chipping on lower spine and corner. Part of the 18-volume Beautiful England and Scotland travel series. Easy-to-read text is a blend of guidebook information on what to notice along the Thames, spiced with historical tidbits and lore. Suitable for both adults and children. Size: 8vo-- 8.75 in. Tall. Ny: Bonanza Books (Crown Publishers), 1988. Book. Good +. Cloth. Reprint, 8th.. 302 pp. with 304 photos and drawings, index. Although ex-library, this copy has light wear and no library stamping. Endpapers excised but text complete. Lower part of title page ripped out to remove an address label of a previous owner. Very satisfactory as a reading copy. No markings in text. Mylar protector on brown dj showing the Daniel Webster birthplace in Franklin, N.H. Part of Nutting's Americana series, this is a reprint of a tribute to old New Hampshire in historical b&w photos, drawings, prose and poetry. Photos pre-date 1924. Sketches include many architectural details of historic homes. Binding firm. Size: 9.25 in Tall. NY: Harper Perennial (HarperCollins), 2008. Book. Very Good +. Trade Papeback. 418 pp. plus 15 pp. of rear addenda. Lighhtly read, nearly new. No markings. Green stiff wrappers with fold-over cover flaps. Part of the Modern Classics series, this edition marks the 25th anniversary of the book's original publication. A narrative about a father and his young son's motorcycle trip across America becomes an odyssey into personal philosophy. 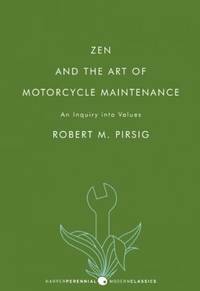 Addenda include several notes Pirsig exchanged with his editor while writing the book. 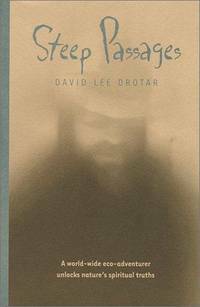 Size: 8vo -- 8.25 in..
New York: Fall River Press, 2007. Book. Fine. Boards with Cloth Strip.. 7th Printing.. 253 pp, index, like new. Belanger, a Massachusetts-based online guide to all things ghostly, gives a thumbnail tour of 29 historical buildings with paranormal reputations. The informal guidebook ranges from well-known landmarks, such as the White House, the Paris Catacombs and the Tower of London, to obscure locations, such as Hibbing High School in Minnesota, Stone's Public House in Ashland Mass., Thornewood Castle in Lakrwood, Wash., Boogo Road Gaoll in Brisbane, Australia, and the grave of reputed vampire Mercy Brown in Exeter, Rhode Island. Size: 8vo -- 9.25 in Tall. NY: Random House Large Print, 1999. Book. Good +. Trade Paperback. 1st Large Print Edition.. 272 pp. Thumbed, moderate wear. Corner crease. Stamped "Crane Lakes HOA Library," and has previous owner's address label on preliminary page. Text clean. Spine uncreased, slight slant. 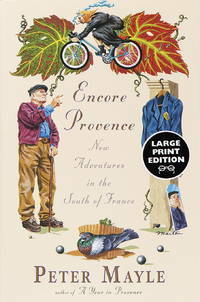 Humorous adventures of an ex-advertising man returning to Provence for more gastronomic pleasures. Size: 8v0-- 9.25 in Tall. NY: Viking, 1941. Book. Good. Cloth. First Edition.. Two volumes, 1181 pp. total. Colored illustrations pasted on front covers. Heavy rubbing on spine and front cover edges of Volume 1; dark stains on fore-edge of Vol. 2. Hinges mostly cracked but binding still firm. Corners bumped. Text clean. Lacks original slipcase. Contemporary maps (as of 1941) and historical maps on end papers. Index, bibliography, epilogue. West provides a passionate, detailed account of her travels through a war-torn region strained by ethnic conflicts. She folds a great deal of history into her travelogue. A useful resource for understanding the clashes that continue into the 21st century. Size: 8vo -- 9.5 In Tall. NY: Barnes & Noble, 2005. Book. Fine. Glossy Colored Boards. First Edition.. 127 pp. on glossy stock. No markings. As new. 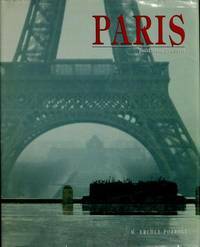 A photo guidebook to Paris, with color photos and detailed text on every page showing major architecture and art of Paris. Translated by Neil Frazer Davenport. A compact volume, ideal for a traveler who seeks a more detailed historical background for appreciating the sights of Paris. Size: 4to -- 10 in Tall By 8 In Wide. Castleton on Hudson, New York. : Brookview Press, 2002. Book. Very Good +. Trade Paperback. First Edition. 8vo -- 8.5 In Tall. 161 pp., index. Close to new, slightly thumbed. No markings. Spine uncreased. Eighteen brief essays from a young world traveler, reflecting on nature and a wide variety of people. Cover blurb: ".destined to become a classic of modern nature writing." Drotar's journeys include several in the Adirondacks and the Catskills, the Northeast Kingdom of Vermont, Laurentian Mountains of Quebec, Finland, Belize, Taos, N.M.; Galapagos Islands, and Marakesh, Morocco. 8vo-- 8.5 In Tall.